Corryong is situated in the north-east corner of Victoria, 120km east of Albury/Wodonga on the Murray Valley Highway at the headwaters of the Murray River. The area is traditionally known for its agricultural industry, primarily beef production and dairying. It also supports a strong timber industry. Alternative farming is becoming more prevalent including agroforestry, emu farming, goat breeding, wine production, cropping and seed production. The fastest growing industry in the region is tourism which is attributable to the pristine environment. 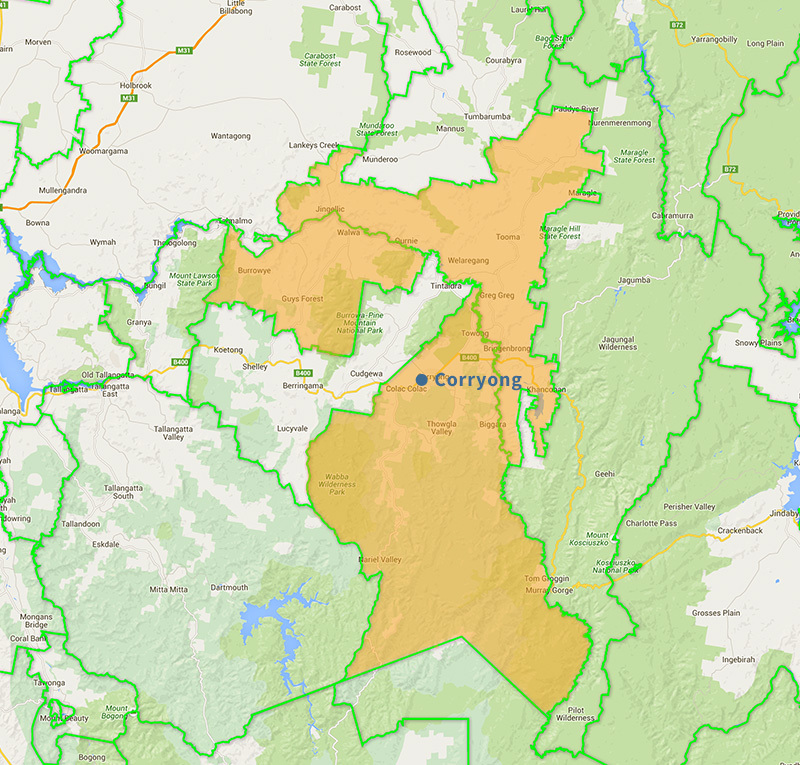 The Corryong Courier is circulated in north-east Victoria and south-east NSW in the towns of Corryong, Frees, Jingellic, Khancoban, Tallangatta, Walwa, Deniliquin, Mathoura, Moulamein and Wakool. Dairying, cattle, timber production, tourism.